The category of people whose function is to ponder the more subtle aspects of society is the artistic, poetic, musical and sensitive types. These folk attempt to understand society's emotional framework and hidden atmosphere well enough to capture and express its essence; they work most through metaphor and imagery. 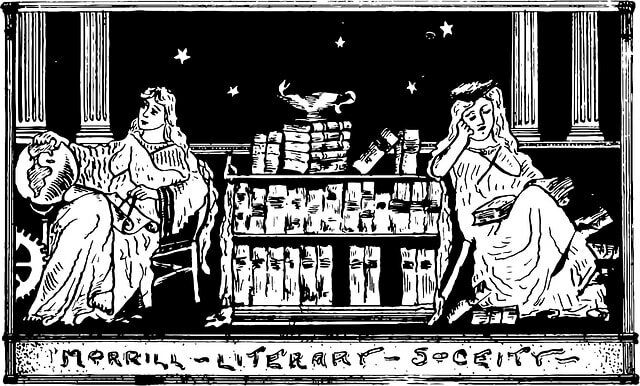 A literary society shows an example of the practice of criticism as a positive method by which to gain heightened awareness – through which improvements and deeper appreciation occur. Applied to the character of a self-aware individual, criticism reinforces the definition of personal identity. With this intellectual approach to life there are two obvious possibilities to consider. There is the potential to make day to day life more rewarding through developing a real understanding that expands our range of interests. Yet also the temptation is strong to use debate and discussion as a substitute for full participation in reality itself. Generally, accomplishment follows the exacting assessment of the features of ordinary activities and common effort – we need to see what works in the world, and we do this by looking very carefully at the details. This attitude sponsors self-reflection, and helps us to review our own aesthetic and intellectual characteristics, as a procedure for improving them. We grow in stature by accepting the need to hear and take on the observations that are made about us, some of which feel threatening to our self-love. Criticism offered by another is impotent – even counterproductive – unless we accept it as valid. Self-criticism and self-improvement are very intimately connected activities. It is a glorious aspect of humanity’s range of qualities that we constantly develop new and imaginative ways to express ourselves. In this, there is no end to our collective resourcefulness. Whereas repeating and copying are appropriate methods to gain knowledge and experience, in the final analysis it is only originality that has cosmic importance. Moreover, whenever we are innovative, we stimulate others to be the same way. There is a resonance of original, imaginative optimism that raises those we meet and humanity generally. With this attitude to even the simplest situations in life, our response to circumstances somehow tends towards a widening of opportunity and the recognition of greatness in others. As a result we become worthy of the high opinion that is eventually accorded us – by a community that is appreciative of our positivity.